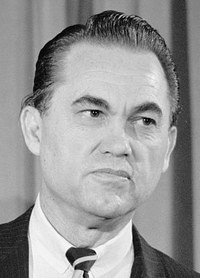 Wallace was the controversial political figure known for his Southern populist pro-segregation attitudes. Martin Luther King, Jr. led marches between Selma and Montgomery, Alabama to protest Wallace’s unwillingness to give blacks their rights. Some of the other key roles that need to be cast in Daniels’ film include President Lyndon Johnson and Martin Luther King, Jr. 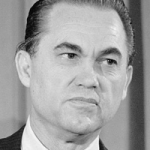 This should be an interesting film – who will play MLK, well, so many others have played him…..not sure who could play LBJ – Deniro will play Wallace good. 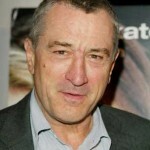 DeNiro can play just about any role – so can Al Pacino. I know he’ll do Wallace justice which is ironic since the man was not about justice. I wonder what Grace Hightower thinks of her hubby playing this role. I like DeNiro a lot and since he is known to have the ultimate respect for our culture and race, any less capable hands would cause concerns. I hated Wallace. I wonder if they will to make him more sympathetic in the end, as supposedly was in real life. They can make him anything they want – by the time he was dying he had already done a life time of damage and certainly helped justify some of the racial hatred of the time. I will definitely go see this. I’m a DeNiro fan, but G. Wallace was a evil man. In Geoge’s later years he did ask for forgiveness and said that he was wrong. So they won’t need to make him sympathetic, he made sure of that before he died. 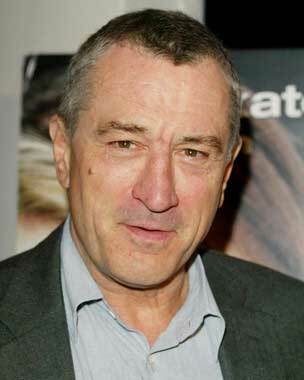 I never understood the appeal of DeNiro. Sure, he’s a good actor but I don’t know why some black women make a big deal about him because he dates/marries only black women. *shrugs* He’s not the most attractive looking guy but that’s just me. I still don’t see what the brohuahua is about it. And oh, yeah, I think he’ll do just fine as Wallace. It’s the same as black women making a big deal about a black man who white women. Blacks make such a big deal about why not the other way around. Chile, you’re not alone. I never understood Brad Pitt’s appeal either, bad acne and all. Just like Paul Mooney said after 30, ‘they break’. LOL. I’m not here to defend Brad Pitt, but, that is just inaccurate that he has bad skin. I have seen him in person, standing only a step or two away and trust me, the guy may not be everyone’s taste, but, he has nothing to apologize for in the “looks” dept. Just because one is not attracted to a certain type, remember beauty is in the eye of the beholder. Well, to me, he looks like he has bad skin. Maybe it’s the lighting or the way he’s photographed. Anyway, I know that beauty is in the eye of the beholder. One man’s treasure is another man’s junk. That’s why it’s called ‘opinions’.